In today's rapidly changing business landscape, entrepreneurship is growing and actively promoted by policy makers. Several reports explore the influence of entrepreneurship on the economy and put some emphasis on its positive influence GDP per capita, unemployment and exports. However, entrepreneurship does not go per se and it is now broadly admitted that the decision of the entrepreneur is narrowly connected with its environment, the so-called entrepreneurial ecosystem. 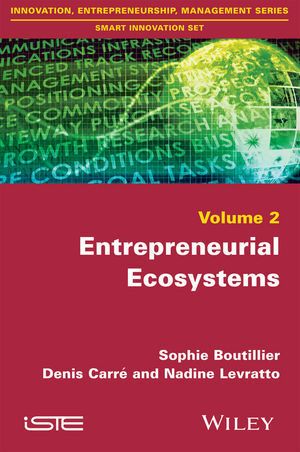 This book show why policymakers, entrepreneurship supporters, and entrepreneurs themselves should keep in mind the locally structured nature of entrepreneurial networks.